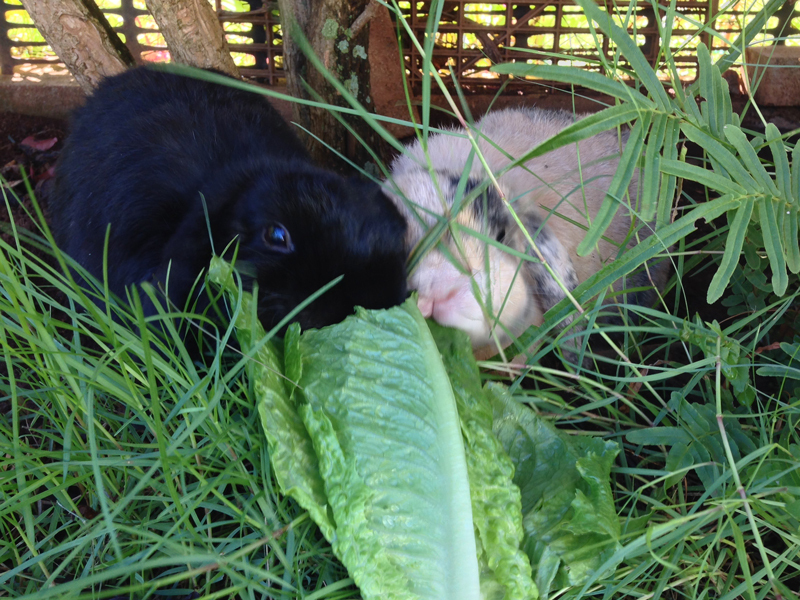 Rabbits in a seemingly peaceful mood. 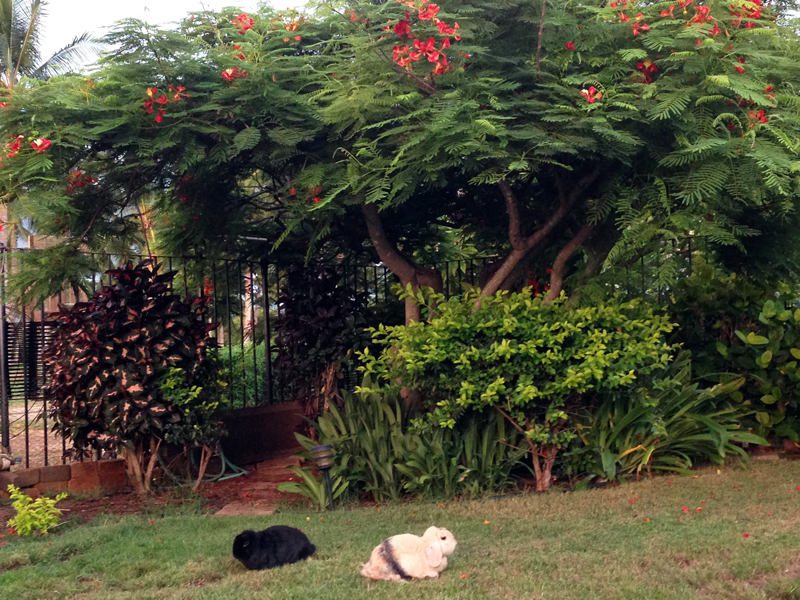 The Royal Poinciana tree is blooming in the background. 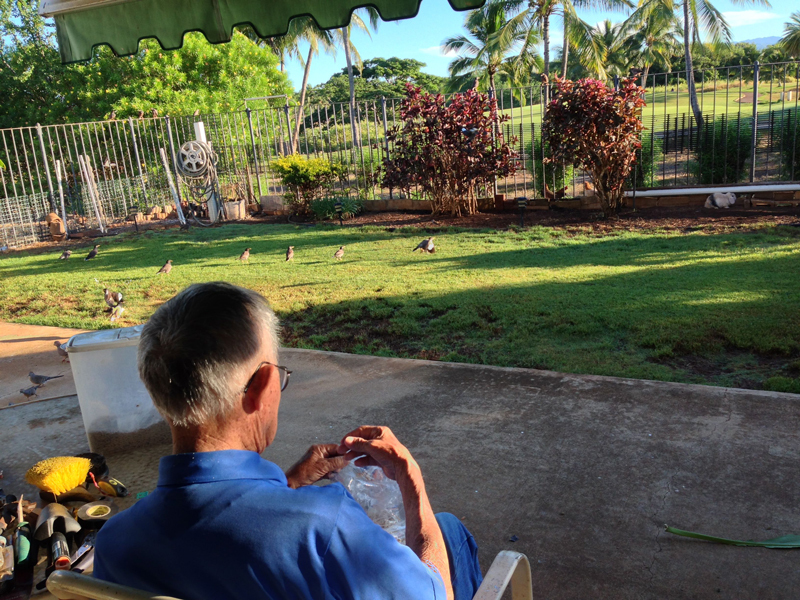 Grandpa shreds bread into crumbs to feed the birds and the six (so far) feral chickens this morning. 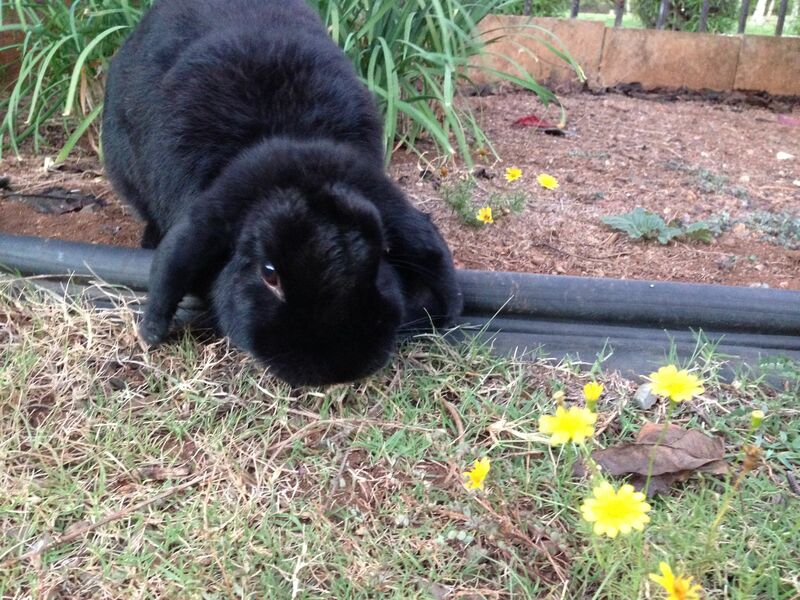 Flopsie is in the foreground, to the right, near the fence. Another hot and humid (no trade winds) day is in the forecast. 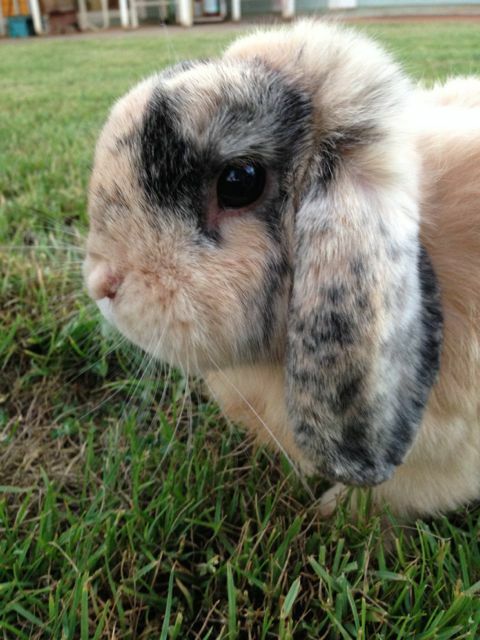 Keeping one eye on the photographer, Mopsie eats grass this evening. 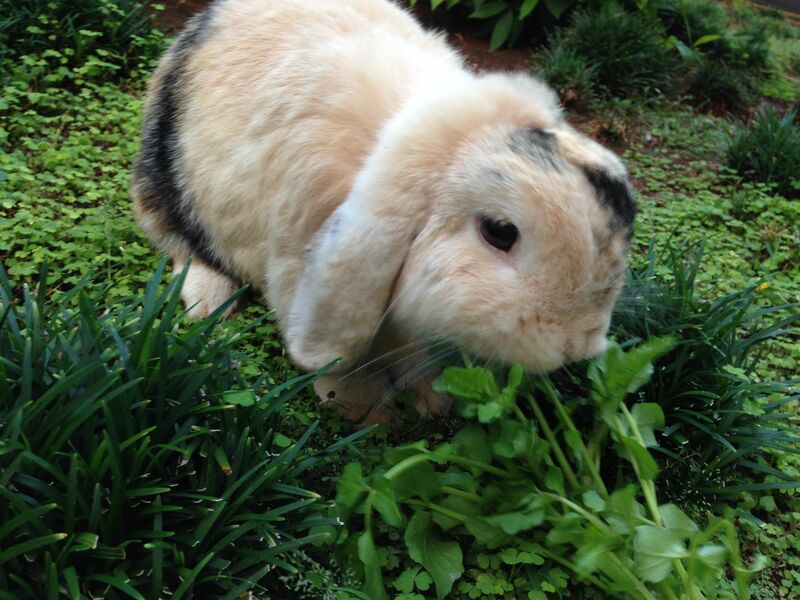 He and Flopsie forage in the morning and evening when it is cooler. During the day, they lounge under the bushes in a shaded area of the yard to avoid the hot sun. They wish they could take off their fur coats, or be shaved like poodles!